While foreclosures have slowly declined in the U.S., home sales have increased for the most over the last few years. But another dynamic is on the rise as the Baby Boomer generation gets older and retire, which often brings downsizing and relocation. Then there are those who simply move to bigger or better homes and those who, sadly, pass away and leave an estate. It's quite likely then that, as a real estate professional, you have probably dealt with any number of scenarios such as these. You have likely worked with estate sales, vacated rentals, and used homes that have been remodeled just prior to going on the market. What all these scenarios have in common is that they are all in need of major cleanouts. Maybe the only thing worse than packing and moving furniture and household goods is the dreaded home cleanout afterwards. This is something that, while certainly necessary, is not what most folks want to be doing. When you consider that the average homeowner sells their home after residing in it for about six years, it's easy to imagine that they have to move a lot of stuff. And when you consider that not everyone cares to take it all with them to the new house, then it becomes quite likely that there'll be large quantities of accumulated junk that ends up in the garage, on the side of the house, or in the attic or basement. If the previous homeowners do move out and leave items they didn't want to take with them, someone has to be accountable to see that it is cleaned up and the junk hauled away. While it may seem harsh to refer to these items as “junk” the fact is that no one else usually wants it. And, in order for a real estate agent to show the home or have it prepared for the new owners, a property cleanout will be needed so these items can be removed. Regardless of the reasons, the fact remains that there are many people who will need help cleaning out their property. It could be that they have to liquidate their assets as part of a divorce settlement. Others are leaving unexpectedly to take on a new job in another city or state. And then there are those who simply want to downsize and reduce their "footprint." All of these, along with the aging Baby Boomer segment of the population means an increase in estate cleanouts. 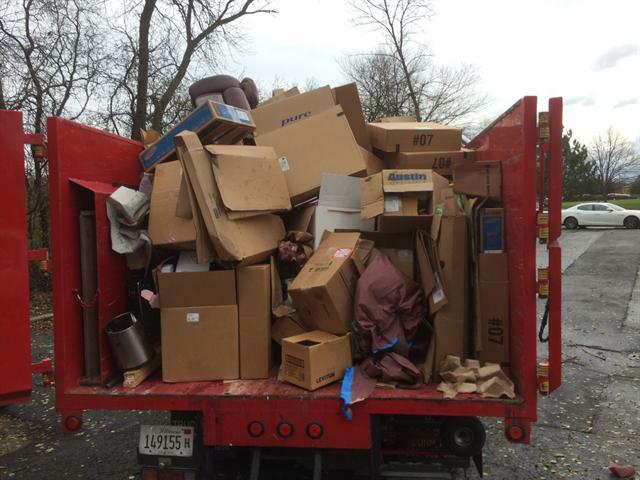 Unfortunately, the task of hauling away old furniture, appliances, unwanted household goods and other junk items can be especially difficult. When you consider that, in the United States, the average home size is about 2,500 square feet. And Americans tend to accumulate things so most of that space is typically full of belongings of one kind or another. This can be especially true for an elderly parent or grandparent who will have likely accumulated years of belongings that can easily fill both the house and the garage. In addition, many people have rented storage units or storage sheds on their own property. So the task of separating, cleaning and hauling out all of this can be overwhelming. The good news is that cleaning out a vacant home or rental property doesn't have to be a DIY project for a real estate professional. In addition to having a good cleaning service to clean the interior of a property, finding a good junk hauling service is needed, as well. But a good real estate agent knows that it is still necessary to clean out a property prior to hosting an open house and before the hoped-for sale. 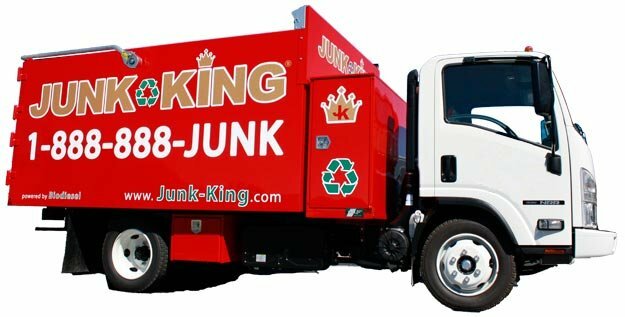 And because of the amount of work that's often needed, really good agents also know that it's more cost-effective and efficient to outsource the work to a professional foreclosure clean out service like Junk King. In addition, as a quality junk hauling firm, we work hard to protect and preserve the property. As experienced real estate "partners" Junk King understands the needs of real estate professionals and we are knowledgeable of investor/insurer guidelines so you can be assured that all the work will be completed in accordance to the applicable specifications. We understand that as a real estate professional you need your properties to be pristine, and you want to be able to list them as quickly as possible. We also understand that you appreciate hassle-free services and don't have time for problems with a property. And, since your clients have enough to deal with when selling their home, having the junk removal handled by someone else can be a huge bonus for both of you.